What happens when HP, AphroChic, Emily Henderson and YOU team up? Well, you can bet it will be something incredible! 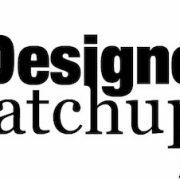 In partnership with Design Milk, Project Runway sponsor HP is presenting the HP Designer Matchup Challenge. 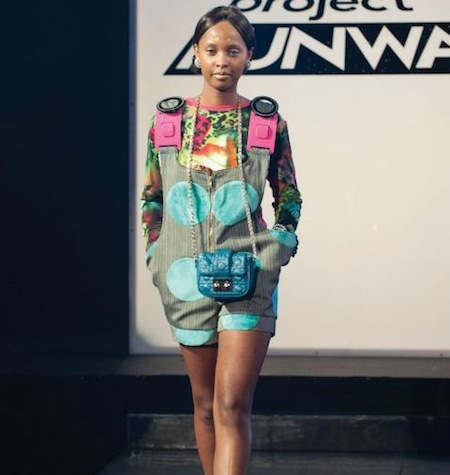 Inspired by the 10th season of Project Runway, the challenge will bring together five bloggers and the designers of their choice to collaborate on developing a special product. The most exciting part, we will need your help to create a product that will be revealed during New York Fashion Week!!!! Yup, I told you it would be incredible. I am lucky enough to be working on this challenge with my favorite designer, Emily Henderson of HGTV Design Star fame! I’m sure you have all seen Emily’s work on her show, Secrets From A Stylist. An exceptional interior designer, Emily has a talent for using color, pattern, and her expert styling abilities to create fashionable, modern spaces. Over the next few weeks the two of us will be working together to develop an original wallpaper design, perfect for the types of interiors that Emily is famous for. And in September we will come together to unveil our design and attend the Project Runway finale runway show!!! I am already working on my wardrobe for that event. Emily is inspired by the saturated hues and neon shades of Kooan Kosuke’s for a wallpaper design that pops! Another piece by Kooan, Emily is a fan of his mix of bold geometric shapes. A pattern like this could be the perfect basis for a design. I love the work of Ven Budhu, and his floral-inspired pieces. It would be fun to develop a wallpaper pattern with an updated version of classic blooms. Which Project Runway design should we use to inspire our wallpaper? Submit your vote by Friday, August 17th at 11:59pm ET, and check back on Monday to see what Emily and I have come up with. You can also follow our journey on Twitter @aphrochic and @em_henderson. https://www.aphrochic.com/wp-content/uploads/2012/08/7785268696_a53ec9cec4_o.jpg 226 450 Jeanine Hays https://www.aphrochic.com/wp-content/uploads/2017/02/Aphrochic-logo-glow-700.png Jeanine Hays2012-08-15 04:13:002015-03-16 09:52:23Announcing the HP Designer Matchup Challenge, Starring: Jeanine Hays, Emily Henderson and You!